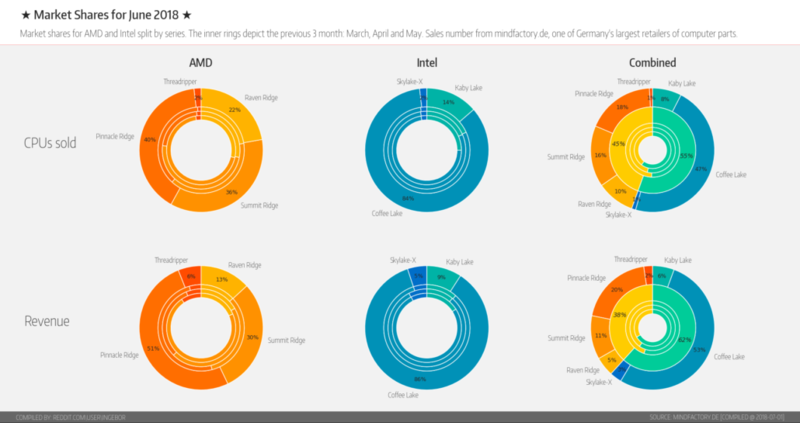 The latest CPU market share and revenue report has been released by Germany’s biggest retailer, Mindfactory. According to the report, while AMD picked up the pace during the last two months, it looks like they have yet to catch up to the same level as Intel’s fastest mainstream processors that have been on the market for than 10 months. When AMD launched the first Ryzen processors, we saw a huge market share jump for the red team which managed to surpass Intel CPUs at the same retail store. The Ryzen series offered a massive performance upgrade and more cores to users with multi-threading support, which is something AMD CPUs were deprived off from the CAT core generations. Intel released their own 8th generation mainstream Core processors, featuring the first core bump in over a decade. That led Intel CPUs to take away the market share lead again and by a big margin compared to AMD Ryzen processors. 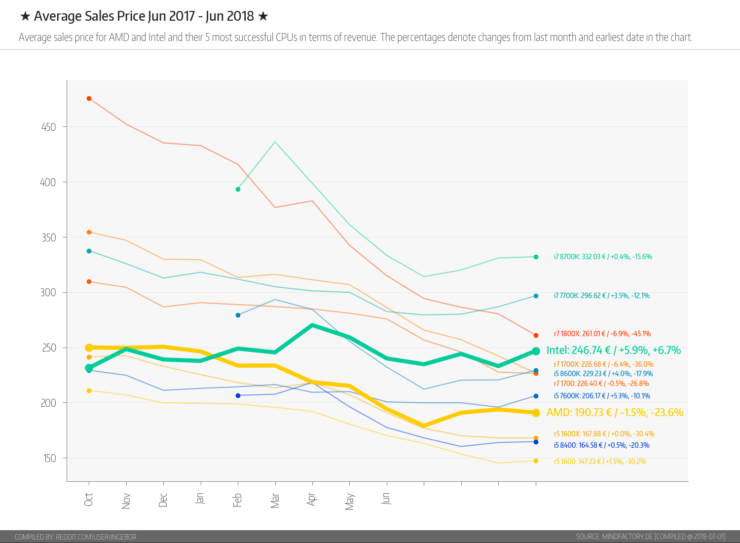 While the AMD Ryzen 2000 series launch did bring AMD toe to toe with Intel’s 8th Gen CPUs again, it looks like the launch and hype factor is starting to fade away as Intel’s 10-month-old 8th Gen CPUs are once again leading with the dominant position at the same retailer. According to the first chart which shows the number of CPUs sold by Mindfactory, the Core i7-8700K remains the undisputed mainstream king leading over AMD’s 8 Core and refined Zen+ based 2700X by a huge margin. Even the Core i5-8600K retains a strong lead over the Ryzen 7 2700X. AMD Ryzen 5 1600 (Non-X) is the second best chip in the AMD lineup which is because of the great value proposition of this 6 core, 12 thread chip. One thing to note is that AMD’s first gen Ryzen CPUs are now available at much lower cost than at the time they launched so revenue won’t be the same as it was during the initial launch days. We can also see the Core i7-8086K starting to show up in the CPU sold figures which is still a very small percentage of the entire CPUs sold due to its recent availability in the market. In terms of revenue, Intel is leading due to maintaining a set price on their chips while AMD CPUs (especially 1st Gen Ryzen) are selling for much lower than what they launched at. Hence we can clearly see that the revenue amassed by 1st Gen Ryzen CPUs is a small fraction of the entire AMD CPU revenue, which is majority driven by Ryzen 2000 series and Threadripper processors. The Core i7-8700K and Core i5-8600K actually raked in more revenue than all of AMD’s CPUs during June. 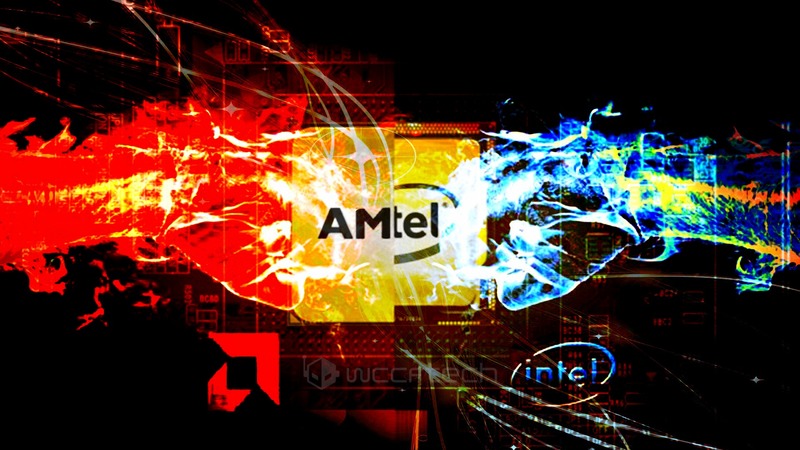 This puts the current number of AMD CPUs sold at 45% percent while Intel retains the top position with 55% CPUs sold via the retailer. Out of the 45 percent of AMD CPUs sold, 18% are Pinnacle-Ridge based while Summit Ridge accounts for 16% of CPUs and Raven Ridge accounts for 10% of CPUs sold during April. On the Intel front, Coffee Lake amounts to 47% of the CPUs sold which is quite staggering, while Kaby Lake accounts for only 8%. Intel also leads with the most CPU revenue since their top end i7-8700K remains the most popular chip on the market. Interestingly, both Intel HEDT and AMD HEDT platforms account for only 1% of the share in the number of CPUs sold while revenue of the X299 HEDT chips is 1% higher than X399 at 3% (compared to AMD’s 2% revenue from HEDT). This is very interesting and we can’t wait to see how future launches such as upcoming Coffee Lake-S 8 core processors and AMD’s 2nd Gen Ryzen Threadripper CPUs affect the market share.